It is inevitable to avoid falling sick every now and then, especially when there is a change in the weather. 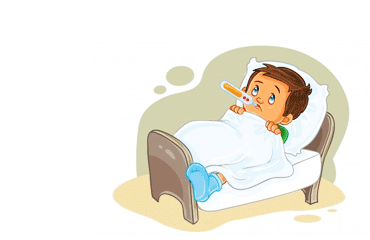 When an individual fall sick, there would be a need to write an application for being absent due to illness. It is not everyone’s cup of tea to create a perfect application letter; however, it is quite simple since there are samples, which can assist a person to create the best application letter. Reading a letter can be of great help especially when an individual has no idea of what to include in the application letter. With due respect, it is to inform you that I, (Insert name here), is a student of your school. My registration number is 000000. Last night I got the bad flu, and, in the morning, I was burning with fever. I have to see my doctor today and hence, I will not be attending the school. With due respect, it is to say that my son/daughter, (name of son/daughter) is a student of your school. He/she has a high fever since last night and I have to schedule his/her appointment with the doctor today. Therefore, he/she will not be attending the class today. Sometimes a student would fall sick and might get a high fever and hence parents would need to write an application letter to let the teacher know about the fever. With due respect, it is to inform you that my son, XYZ, of your class, is not feeling well. He has a test today and does not want to miss it at any cost. However, I have to take him to the doctor, as his fever is quite high. I cannot let him go to school without the permission of the doctor. As you know, dengue is quite common in this season and I am afraid that he might have caught it. I would like to get the confirmation from the doctor and thus, he will not be attending school for the next three days. Kindly grant him leave for three days from (date) to (date). I will be highly obliged if you let him take the quiz after three days. With due respect, it is to inform you that I, ABC, of your class is suffering from high fever since last night and thus, will not be able to attend the school today. My dad is quite worried as there is a common viral, which might be affecting me. My father would like to schedule an appointment with the doctor. I would need a leave of two days. I have already submitted the assignment and I will be highly obliged if you grant me leave from (date) to (date). It is to inform you that I, ABC, of your class is having diarrhea since morning. I have a test today, but I am afraid, I have to schedule an appointment with a doctor as soon as possible. I am not in a position to attend the college. I will be highly obliged if you grant me to leave today (date). Given below is sample application letter for being absent in exam. With due respect, it is to inform you that my son/daughter is not feeling well since last night and he/she is constantly vomiting. He/she need to see the doctor again. We have taken him to the doctor last night in an emergency and the doctor advised complete bed rest. My son/daughter is complaining of a sharp throbbing pain in the abdomen as well. It appears that he/she has food poisoning, but we are not sure yet as the results from the lab are not back yet. However, if that is the case she would not be able to attend the exams. Kindly grant him/her permission to be absent during the exams. I will be highly obliged. Please let us know what we can do to make things easier for him/her as he/she is eager to give the exams despite the sickness. With due respect, it is to inform you that my son/daughter, XYZ, is a student of your school. Unfortunately, he/she is diagnosed with chickenpox. He/she was complaining of high fever, shivering, and other symptoms but we thought it is a seasonal flu. As per the recommendation of a doctor, he/she will not be able to attend the school from (date) to (date). It will be great for his/her health to take a complete bed rest and it would not be wise to let him/her mingle with other kids in the school at this point. I will be highly obliged if you grant the leave for (number of days). With due respect, I, ABC, mother of XYZ, a student of your school, would like to inform you that he is feeling a terrible stomach pain since morning. I have scheduled an appointment with the doctor, but the pain is unbearable so, my husband is taking him to the emergency and therefore, he will not be able to attend the school. Kindly grant him leave for today (date) and tomorrow (date). Make sure there are no spelling or grammar mistakes. If the writer is the student, it would be wise to proofread the letter or let an elder review it for any mistakes. An application letter, which is full of spelling mistakes and grammar errors, does not give a lasting impression. Read the letter several times before sending it. Mention the reason for sickness and it should be a valid reason. If necessary, and there is a requirement for a long leave, it would be better to attach the doctor’s report or note with the application letter.